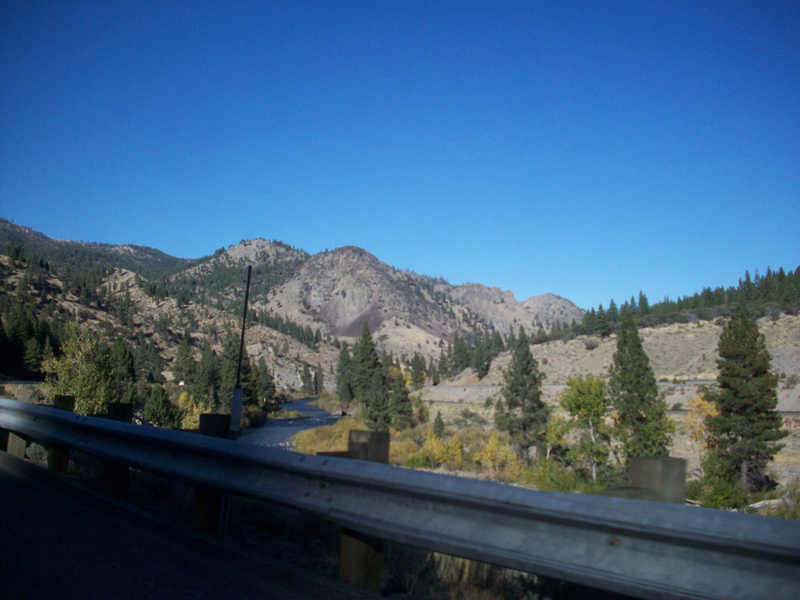 The Truckee River along the I-80 corridor is the site of great climbing areas like River Rock. River Rock is an iconic climbing destination located on the banks of the Truckee River and just off I-80. The approach to the crag is about a mile. This is a great area for beginners but features some higher level climbs as well. Most climbers spend one to six hours climbing here. This is one of the few climbing areas in the Tahoe area that is accessible during mild winter days, but keep an eye on the weather and snowpack before heading out there. It is a fun place year round, however. As the name suggests, River Rock is a spot on the banks of the Truckee River between Truckee and Reno. It features a mix of sport and trad climbing and is known as a great place to learn lead climbing. This west facing wall gets a lot of afternoon sun, making it more popular in colder months than during the peak of the summer season. The close proximity of the river and the shade at the base of the rock make this a great place to hang out for a whole day even during warm weather, however. River Rock is a granite formation featuring beginner and intermediate climbs, making it a go to area for learning and teaching. It is very accessible from both the Reno and Truckee areas, making it a pretty popular and well known location for climbers in the area. To find the approach, walk down the bank towards the river and cross the railroad tracks. You will see the dam and the bridge you will want to cross to get to the other side of the Truckee river. From there, follow the path along the river until you see the face of River Rock. Like many climbing areas in the Tahoe region, this rock offers something for everyone. One of the easier routes, UNR Crack, is rated at 5.7 and named after the closest university. The moderate climbs on this formation make it an ideal location for those newer to sport and trad climbing. This is also a great area for people who love to toprope, which can be done on almost every route. Take the Farad exit off eastbound I-80 towards Reno. About 2 and a half miles from the exit you will see a wide pullout. Park here and walk downhill and across the railroad tracks to cross the foot bridge over the river. Continue along the path until you see River Rock on your right.